Do you love this? I love this! Alarm display of female from Vanuatu; aquarium photo by A. Kerstitch, in Hochberg,et al. What is this gorgeous stripy creature you ask? It’s the wonderpus octopus (Wunderpus photogenicus), a stunning creature that inhabits the shallow regions of the Indo-Malaysia Pacific. As you can imagine, this pretty wunderpus is immensely popular with underwater photographers, dive tourists, and home aquarium aficionados. Interestingly, like tails of humpback whales and the ears of African elephants, the markings on the wunderpus are unique to each animal, providing a way for researchers to study individuals in the wild. This is important, because since its discovery, its popularity for aquariums has ramped up faster than marine biologists can learn about it. Here’s one in the wild. Look how it sends its whole body down a small hole, chasing its own arm into the seabed where it stays to protect itself from enemies. Of course, this ability to slip its whole body through a 1cm hole, makes it almost impossible to keep in a fish tank. Hochberg, F. G., Norman, M. D., & Finn, J. (2006). 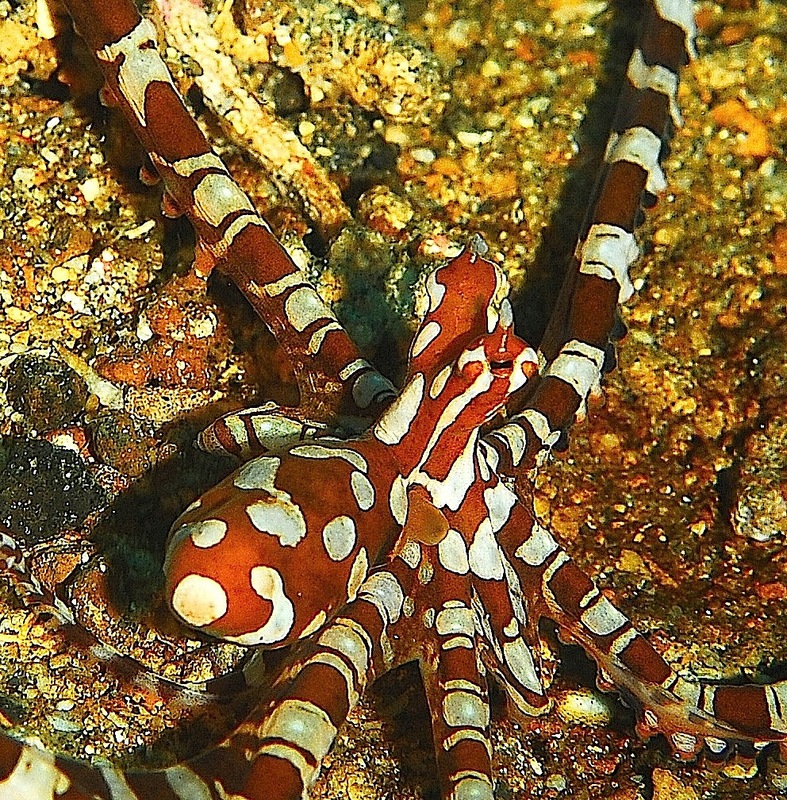 Wunderpus photogenicus n. gen. and sp., a new octopus from the shallow waters of the Indo-Malayan Archipelago (Cephalopoda: Octopodidae). Molluscan Research, 26(3), 128–140.